Home Tags Articles tagged with "Track & Field"
Jacob Cowing and P.J. 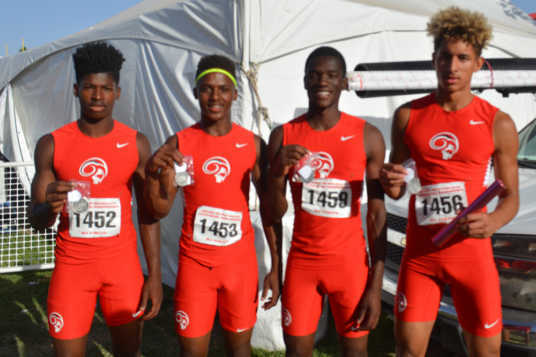 Austin show off their gold medals. This item appears in the June issue of InMaricopa. Terrell Handy soared farther than he ever has, and Maricopa High School came away from the state Division II Track & Field Championships with gold, silver and bronze medals in a team fourth-place finish. 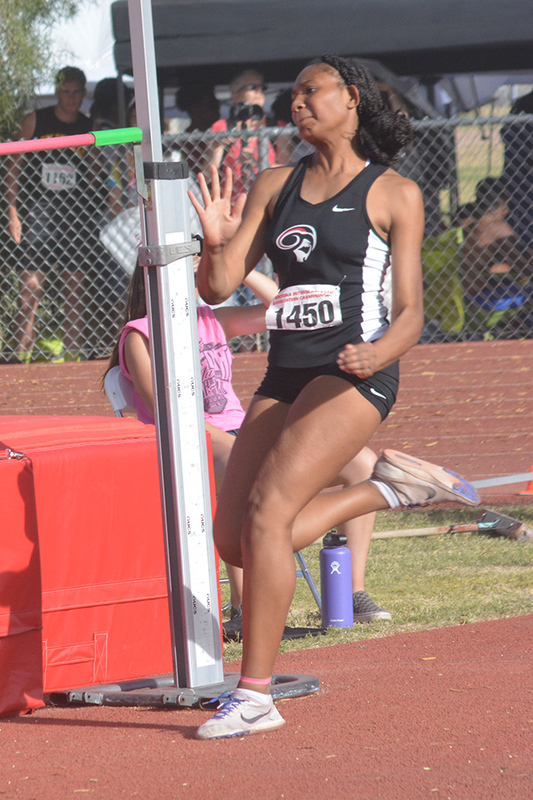 Even in practice, Handy, a senior, had never reached the 47-foot mark in the triple jump. In fact, his personal best this year was 44-10. 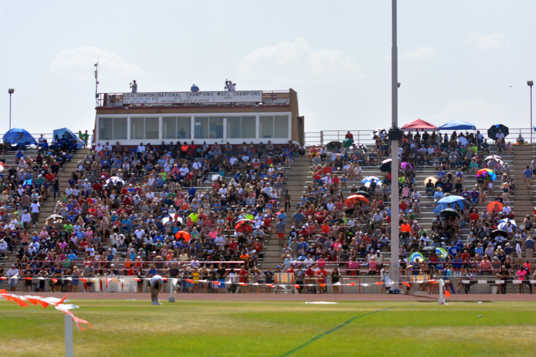 But inspired by a huge, late challenge from a competitor (and the silver medal won earlier in the week by his twin brother Darrell in the high jump), he bested himself and everyone else Saturday with a leap of 47-1.5 to win the state championship at Mesa Community College. From his first jump, Terrell Handy threw down the gauntlet and took the lead with a jump of 45-5, completely new territory for him. “I had to set the tone,” he said wryly afterward. That sent him into the final eight, and left behind his brother in a surprising reversal. Then Marana’s Dominic Gehr put up 45-11 in his final jump. Obliterating Handy’s new personal best, that could have taken the wind out of his sails, but his response was the opposite. “It just motivates me more,” he said. In his last jump, getting no help from a gusty side wind, Handy put to good use the step work he had been practicing with coach Sheldon Hutchinson to claim the gold medal. 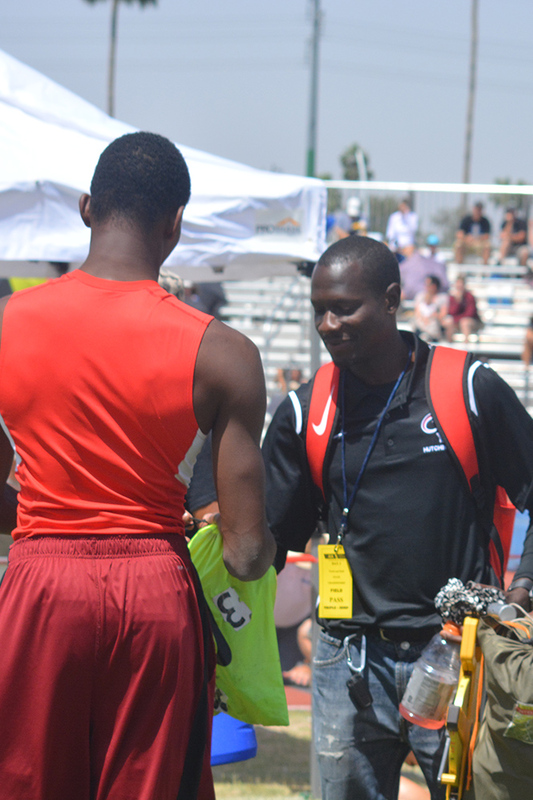 Marcus Naisant of Marcos de Niza finished third with a jump of 45-9.5. 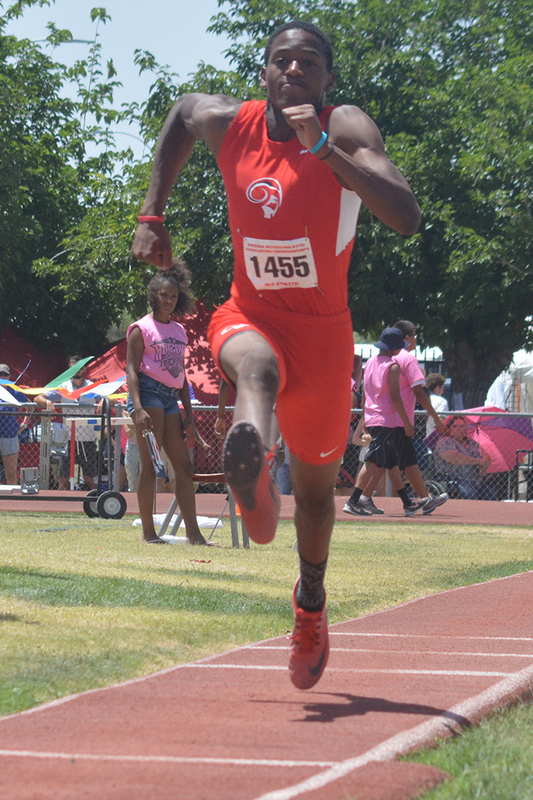 Tempe’s Deandre Hughes, who had Division II’s best jump this season coming into the championships (47-5.75), finished fourth at 45-4.25. 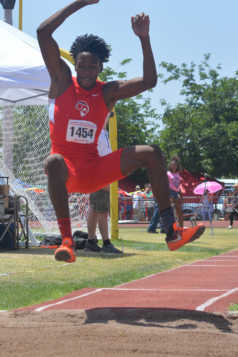 Darrell Handy’s jump of 43-9.5 was good enough for 10th. 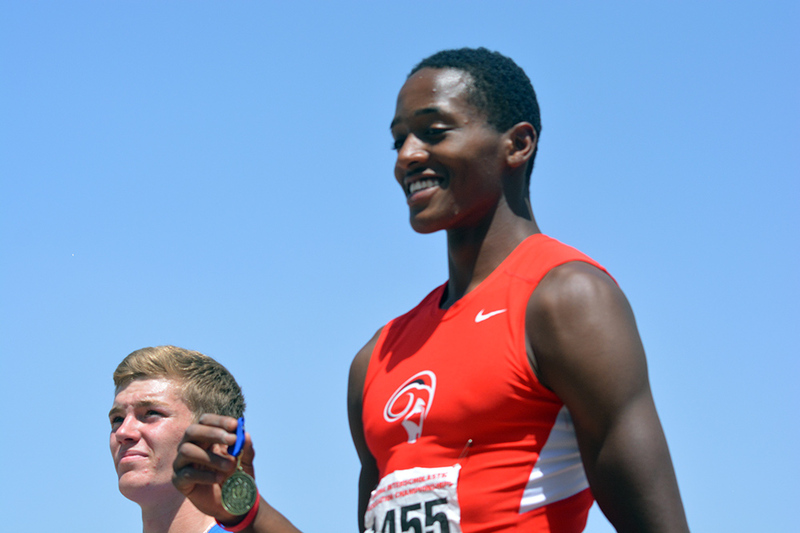 Darrell Handy already had his medal, finishing second in Wednesday’s high jump final. He equaled his season best 6-foot-8. 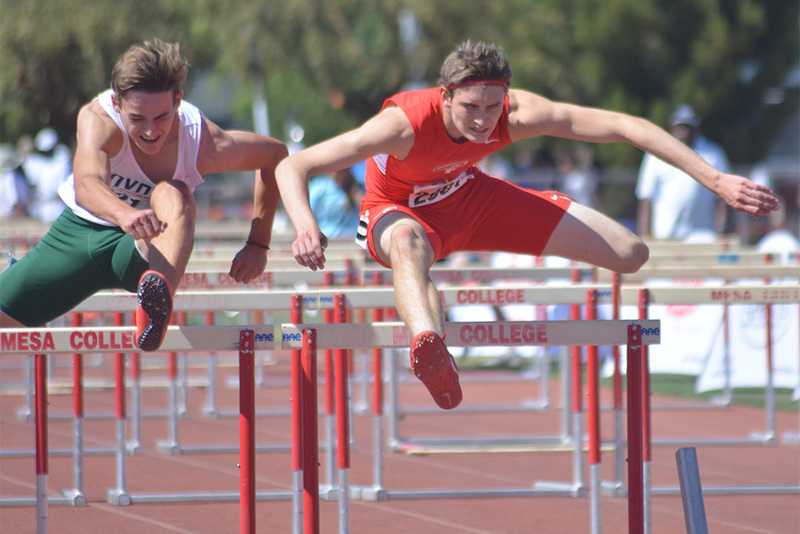 That was behind only Canyon del Oro’s Cameron Crandall, who leaped 7 feet. Terrell Handy was shy of his best in that event, finishing sixth at 6-2. Maricopa athletes claimed bronze medals by taking third in Saturday’s boys 4×100-meter relay. In the preliminaries, the team of P.J. Austin, Longman Pyne, Jacob Cowing and Frank Jones posted the sixth-best time of 43.09 to earn a place in the final. The MHS relay team’s previous best time of 43.03 ranked them fifth in the state. That did not predict what happened in the final. Running in Lane 8, the Rams stayed on pace with Queen Creek, which had the lead from the first exchange. 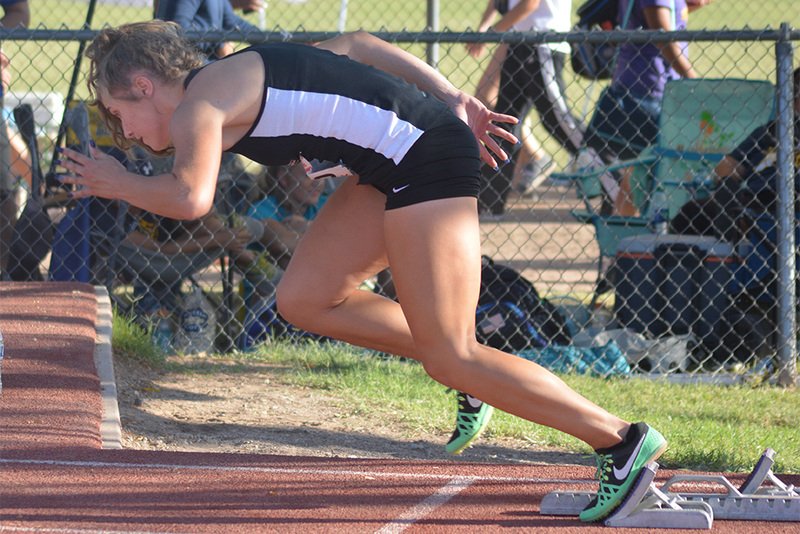 Queen Creek went on to win in 42.07 with Cienega just behind in 42.32. 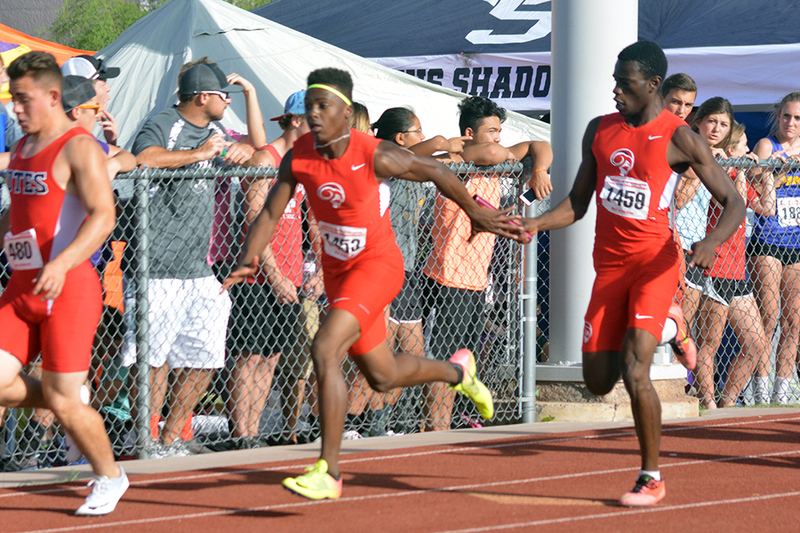 With the rest of the relay team running across the field to cheer on Jones in his anchor leg, Maricopa put up its best time of 42.76 for the bronze. Earlier in the meet, Austin finished fifth in the long jump, while Darrell Handy was sixth. 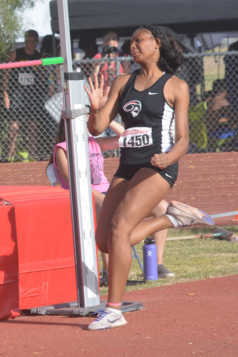 Among the girls, sophomore Italy Brookshire qualified for the high jump final. While not making the finals in the 400-meter dash, sophomore Shannon Coutre lowered her personal record and school record during the preliminaries to 1:00.34. P.J. Austin, Jacob Cowing, Longman Pyne and Frank Jones.